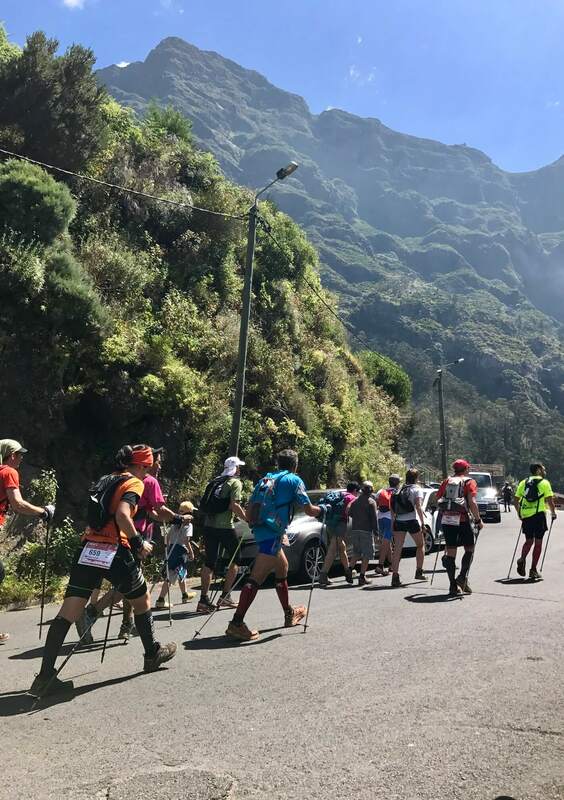 This year I set out to accompany the MIUT, Madeira Island Ultra Trail. What seemed to be an adventurous trail has turned out to be a learning goal, of exceptional beauty. I followed the trail with 115km, which started at 0h Porto Moniz. The atmosphere in the departure was sometimes of celebration, anxiety and preparations, sometimes of silence, rest and meditation. Some athletes rested on the walls by the sea; others lay on the grass to enjoy the last minutes in a horizontal position. The departure, like the arrival, had moments of high emotion, but the supreme feeling was lived between rails, far from the sight of the others; that only those who participate, can tell, not me. I can only speak of what I saw and felt during the 17 hours that accompanied the trail. I saw athletes arriving at the stations, wholly demoralised and disillusioned with their performance. Athletes on fast mode, eager to continue to run, to eat quickly, to fill the water bottles and to follow way. Athletes with cold, sore muscles, and who could not stand any more steps, wounds, ligatures or falls in the dark. Athletes who gave up and accepted the interruption in peace. Athletes who gave up, nonconformists with tears in their eyes. Dehydrated athletes with acute gastroenteritis and dizziness. Fit athletes, up to the test and prepared for what was yet to come. I saw smiles, tears, eyes in the eyes, long hugs and kisses. I heard clapping and crazy screams of encouragement. I have seen sons proud of their fathers, women proud of their husbands, and vice versa. 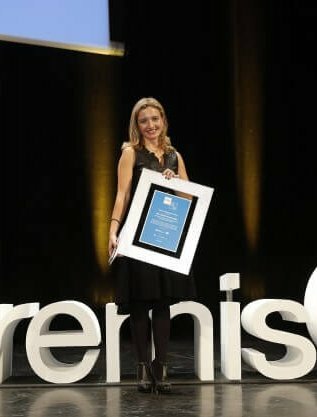 I congratulate the organisation for the professional, exemplary support. I witnessed the beauty of the athletic environment, cooperation and companionship. Then comes everything else, the unexplainable… the luck, the well-being on the day of the trail, the weather. However, I saw many athletes who seemed to have all this in their favour and yet failed to achieve their goals. I spoke to some athletes who made it till the end. The answer was common. I saw women running because the husband had forgotten to take the cap. I saw athletes who lost time turning back because they had forgotten to receive the luck kiss. It reminded me of the airport arrivals/departures. I have learned that as in everything in life, the key to reaching a goal is resilience, intelligence, boldness, to love and be loved in return. Next PostFrom Madeira to Mars goes to FNAC!